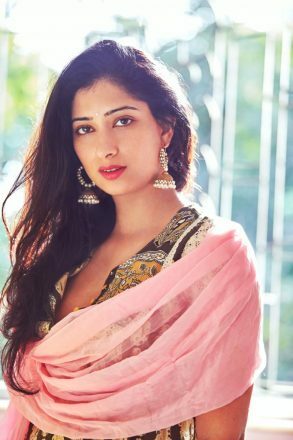 Indo-European beauty queen and actress Niharica Raizada is ruling the box-office with her multi-starrer film, Total Dhamaal. Here’s some points which makes this gorgeous dimpled lass the most loved actress in Indian Film Industry right now. Standing tall with impressive skin tone and body type, Niharica Raizada is a perfect blend of beauty and elegance. She can just as easily don an ethnic avatar as well as an urban stellar outfit. Her fashion and modelling portfolio consists of several Indian and International beauty and fashion brands. Her big commercial film, Total Dhamaal, features some of the biggest names in Bollywood, such as Ajay Devgn, Arshad Warsi, Anil Kapoor, Madhuri Dixit, Sonakshi Sinha and many more, despite a small role, she showed grit and confidence, which has won her praise and critical acclaim from all quarters. After acting in Films like Baby and Masaan, which did very well. Her latest film Total Dhamaal has wooed audiences all over. Not only did all the families watch this rib-tickling comedy this is the first movie which has turned out to be a massive global hit. Niharica Raizada’s multi-starrer film Total Dhamaal, has crossed the 200 Crore milestone and still maintains a consistent growth in multiplexes and overseas market. Niharica is always in the news for stunning-designer label outfits. Ranging from top popular designers to new upcoming innovative designers. She has walked the run-way for everyone including: Kalki, Manasi Lele, Donna & Lord, Maximilien and Julie Shah. Her foreign upbringing and rooted mentality, brings out the best of both the worlds. She is every bit traditional with right amount of modern urban swag. 5. She never fails to engage with fans. Standing tall among handful of celebrities, who have their own personal app, where they interact with their die-hard fan base, Niharica ranks top among celebrities, who has a massive following and always makes sure, she is in constant touch with her fans. She is not just a film-star but also an influencer and is a very generous celebrity, she has a down to earth personality and her highly professional nature and good time management (a skill she says she has imbibed from her late grand-father O.P. Nayyar) has made her an actor everyone wants to work with. She has got excellent communication skills and speaks a total of seven languages fluently which include French, German, Spanish and many more. This girl with a very amazing attitude has a long way to go on the silver screen. Happy Birthday to this beautiful and charming dimpled beauty.